Well kids! We’re back and I honestly don’t know where to begin. We walked the Orange County Convention Center twice. After three rounds and 2 Million Square Feet we covered a lot of ground. 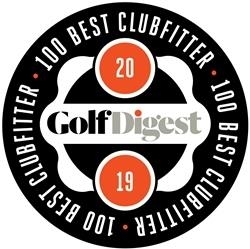 We accomplished more than we ever have and brought back a lot of equipment orders and gear to really help you to get Golf Station Fit! Over the next few weeks I’m going to highlight a number of items that we think you’ll really enjoy and update you on some items that you asked about. This is about golf balls. 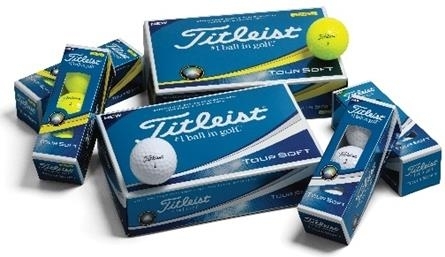 There is a new offering from Titleist that was the talk of the show....the Tour Soft. 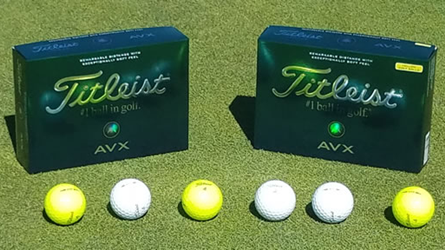 It’s a ball that is taking direct aim at virtually every premier golf ball in the market. And it’s a two-piece ball…that spins. Yes. It’s touted to be the softest ball that generates tour spin with the thinnest cover Titleist has ever produced and the largest core they’ve ever created. It’s listed as an NXT replacement, but it’s an entirely new ball that is available immediately in white and Tour Yellow. If I can get at least one warm-ish day I’ll give you a review of them. If someone picks them up in the store, drop me a line and tell me what you think. 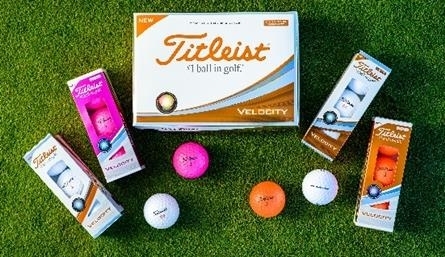 The Velocity was redesigned to make it fly longer and softer than before. If you’re using this ball, it’s all about distance, low spin off the driver and some spin. Not to mention new colors available. One ball I did play was the AVX. I knew what customers were saying but of course, I had to see for myself. One thing that I immediately noticed was that the ball flies noticeably lower than a ProV1. Probably the most obvious thing is that it flies straight. Very. 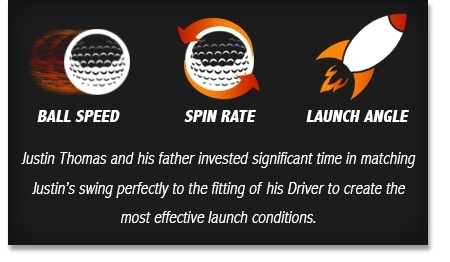 The ball definitely has lower spin on the driver to keep the ball flying straight off the driver face. I found a LOT more fairways. A shocking amount. It was that noticeable and I was stoked. Why? I put myself on a few +1 runs in all three rounds we played. That saved me a bunch of strokes. I don’t think I’ve ever said a ball saved me strokes. I got nice spin on the ball and even impressed our new guy Chris with a nifty 10 yard pitch shot off a tight lie onto the green. I can definitely play that ball. When will it be released? Titleist says possibly in May. They better hurry. This is such a good ball! There will be much more to talk about the Show in the coming weeks, and I couldn’t be more excited to bring it to you. You are the reason we go to Orlando every year. Sure we play golf and have fun, but vendor meetings, training classes and listening to multiple pitches and even some purchases and tentative agreements to help make you better. Don’t be modest! You deserve our best and we’re going to work hard to bring it to you. If you have any questions for us, please drop us a line or to me directly. We’d be happy to get you any information you need! Or you can give us a call at 817.595.4653. Sensational technology in two great Drivers. 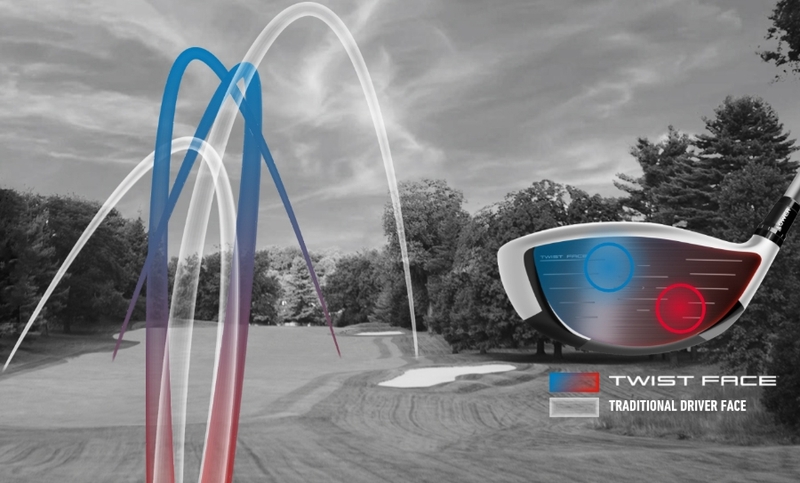 Choosing the right one, and then setting it up with the perfect fitting for your golf swing, can make 20+ yards difference, and a big impact on your accuracy. to max out the return you can get from either of these Drivers. 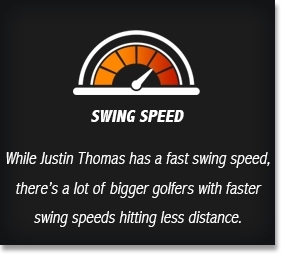 Justin Thomas is 145 lbs and crushes his tee shots past 275 yards on average. 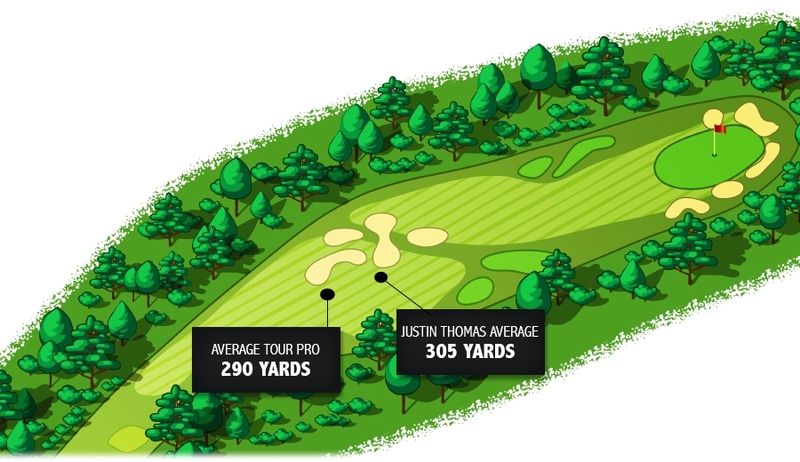 He has hit it over 365 yards on a Par 5.